Every Week 8 college football game was simulated 101 times to predict the outcome. The weekly winning percentage fell from 83.9 percent in Week 6 to only 71.9 percent in Week 7. 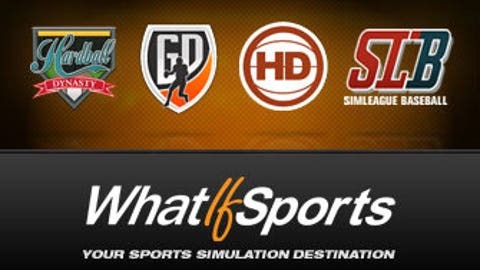 Out of the 22 games involving the AP’s Top 25 teams, the WhatIfSports simulations won 86.4 percent of those contests (19-3). The world might’ve been stunned by the ending between the Spartans and Wolverines, but the computers predicted it. After 101 simulations, the results had Michigan State winning by an average score of 26.1-23.7. While the machine’s results had the Wildcats winning in a nail biter (29.9-29.9), the game wasn’t even close. The Sooners bounced back from their loss to the Longhorns and walloped Kansas State. There is only one showdown of Top 25 opponents in Week 8 and, naturally, it is between two SEC teams. 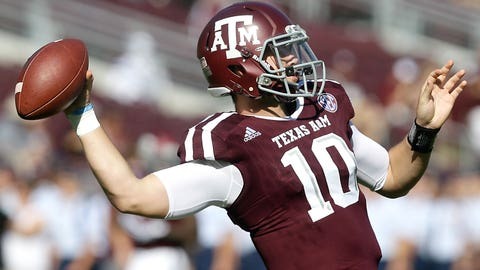 The Aggies suffered their first loss of the season last week as they fell 41-23 to tenth-ranked Alabama. Ole Miss also lost in Week 7. The Rebels led 14-0 at one point, but were eventually shocked by Memphis, 37-24. Though Ole Miss has lost two of the past three games, it was able to defeat the Crimson Tide. As for A&M, its victories aren’t as impressive. The Aggies needed overtime to beat Arkansas. On the plus side, if you remove the three pick-sixes (I know, that’s a dramatic "plus side") from the Alabama game, the Aggies win 23-20 and could still be undefeated. Staying on the A&M optimistic side, the simulations produced a 62.4 winning percentage for the Aggies by an average of 30.9-28.3. Am I the only one who is surprised that the Utes are the underdog in this scenario? Apparently, our computers weren’t fooled, either. Utah is 6-0 and has won each contest by at least six points. The Trojans, on the other hand, have lost three of the last four games. Maybe the spread is due to the fact that Utah hasn’t won in Southern California since 1916. They finished that season 3-2 (yes, only five games). USC is 6-1 against the Utes at home. However, the sim engine says Utah remains undefeated. The Utes won 57.4 percent of the results by an average of 30.1-28.3. In addition, view our Week 8 power rankings or visit our college football archive for predictions from past weeks. For more statistics, view our weekly college football predictions.